Cell therapy is a form of treatment where patients are injected with cellular material. 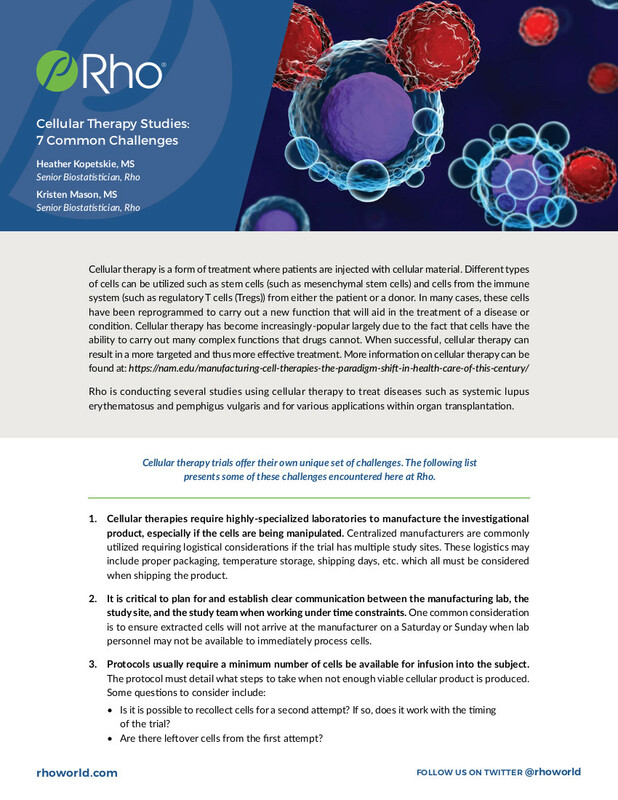 Cellular therapy has become increasingly-popular largely due to the fact that cells have the ability to carry out many complex functions that drugs cannot. When successful, cellular therapy can result in a more targeted and thus more effective treatment. Rho is conducting several studies using cellular therapy to treat diseases such as systemic lupus erythematosus and pemphigus vulgaris and for various applications within organ transplantation, and will share lessons learned from these studies.